Broad majorities around the world own a cell phone. Three-quarters or more in 18 of the 21 countries surveyed in mid-2012 say they have a mobile phone, while at least half say the same in Mexico (63%), India (56%) and Pakistan (52%). 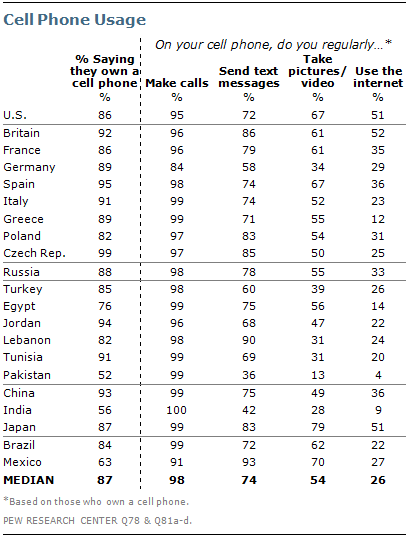 Looking at all the nations surveyed, a median of 87% say they have a cell phone.